We decided to help you not only with the search for interesting novelties of dolls. But also with the search for quality dolld outfits and accessories. And our first news about clothes for dolls that can be bought online - news about quality swimsuits for Barbie. We tried to select for you the product with the best reviews. Summer is close and the dolls are ready to change into swimsuits. With these swimsuits you can have "pool party" with your dolls. 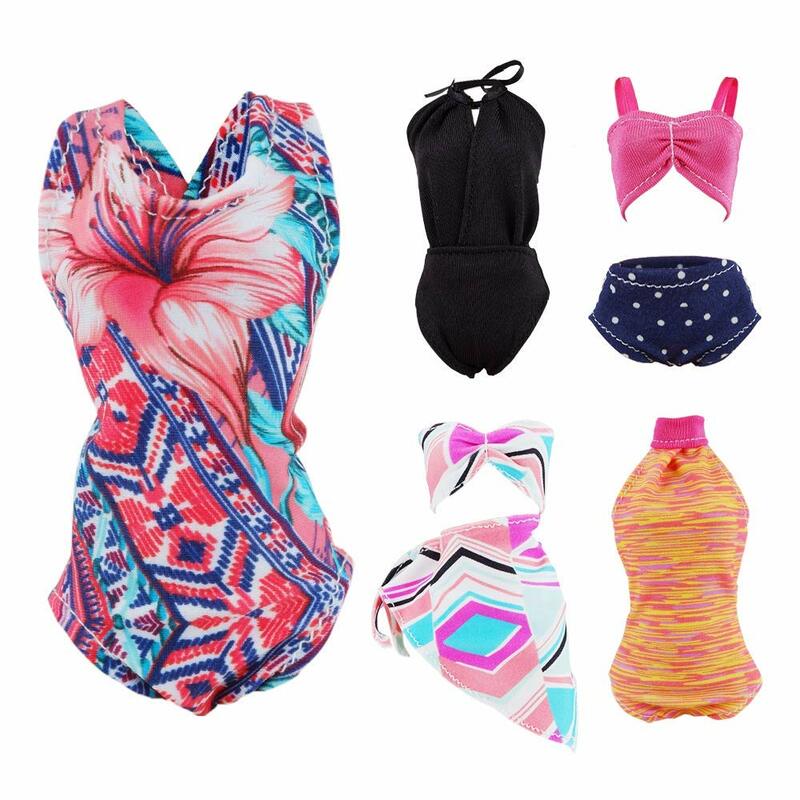 Price is $9.95 (for now) for the set of 5 swimsuits. Important! According to reviews, swimwear of excellent quality and well suited to dolls, but outwardly they are somewhat different from promotional photos. It still looks beautiful, but you better look at the photos of customers on the product page in reviews.